Informationen zum Studium der Bioinformatik in Jena finden sich hier. The Jena Centre for Bioinformatics (JCB) is a network of about 25 research groups from different departments of the Friedrich Schiller University of Jena, the Leibniz Institute for Natural Product Research and Infection Biology (HKI), the Leibniz Institute for Age Research (FLI), the Max Planck Institute for Chemical Ecology, the University of Applied Sciences Jena, and several companies (e.g. BioControl Jena and SIRS-Lab). 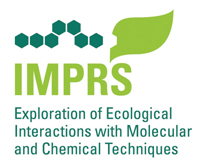 Our Chair participates in the International Max Planck Research School in Jena, that offers an international graduate program to train excellent students in the use of molecular and chemical techniques to experimentally explore ecological interactions under natural conditions. Our Chair participates in the Michael Stifel Center Jena. Our Chair participates in the Jena Center for Soft Matters. The research group RNA Bioinformatics and High Throughput Analysis Jena, FSU Jena, is headed by Prof. Dr. Manja Marz. The research of this group focuses on high throughput sequencing analysis, identification and annotation of non-coding RNAs, among others. The Chair for Bioinformatics at the Biological-Pharmaceutical Faculty, FSU Jena, is headed by Prof. Dr. Stefan Schuster. The research of this group focuses on metabolic pathway modeling, evolutionary game theory, and alternative splicing. The Bio Systems Analysis research group, headed by Prof. Dr. Peter Dittrich, focuses its research on chemical systems theory, modeling of biological communication, and evolutionary algorithms.